Installing the retainer with all six screws in specific locations along the header is critical to ensure the retainer holds the glass panel rollers in the header tracks. IMPORTANT! The screws must be positioned on the retainer at the dimensions shown above. 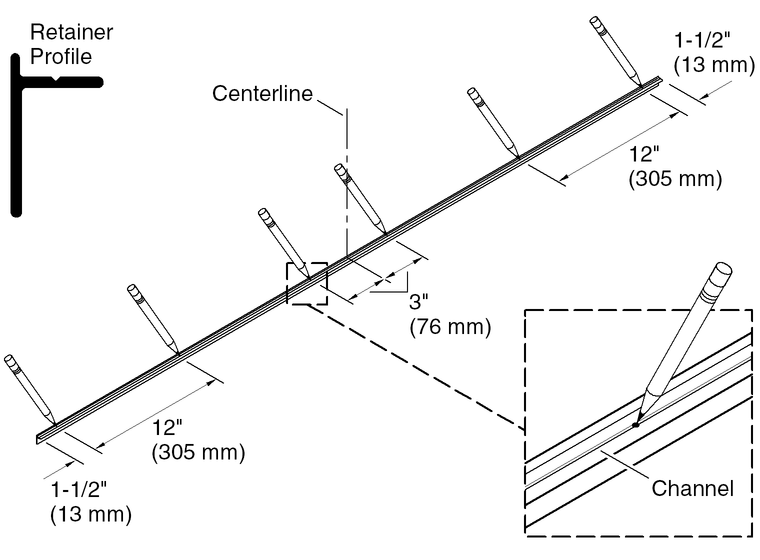 On the top of the retainer, mark the centerline to use as a reference point. Mark the six screw hole locations in the channel at the locations shown. Drill 5/32" holes in the retainer channel at the marked locations. Remove all burrs and metal shavings. Verify the rollers of the inside and outside panels are properly positioned on the header tracks. Slide the retainer between the glass panels and onto the header. Secure the retainer to the header with six #6-20 x 1/4" screws. IMPORTANT! Confirm the retainer is correctly installed. Confirm the top portion of the rollers on the inside panel are positioned behind the retainer. 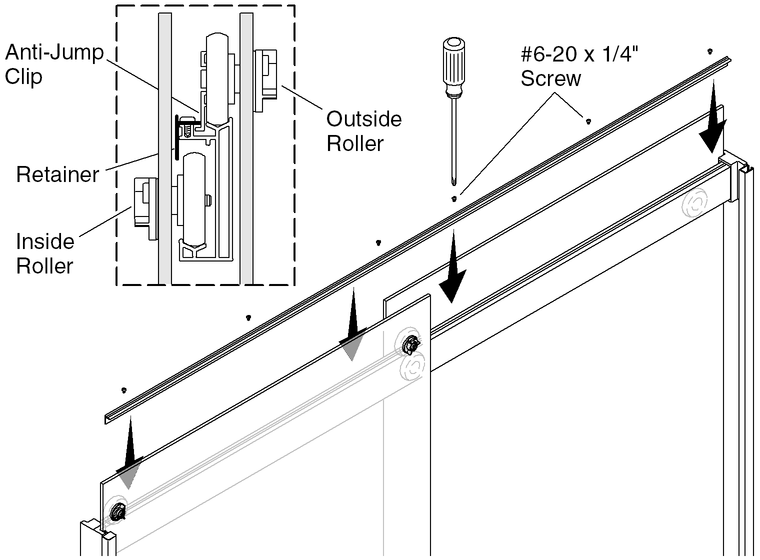 Confirm the anti-jump clips on the outside panel rollers are oriented downward.